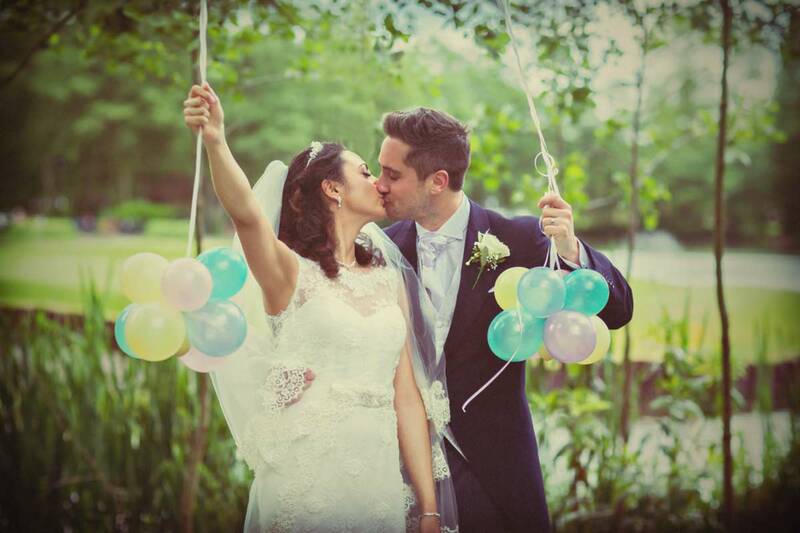 Best Italian wedding in Woking! 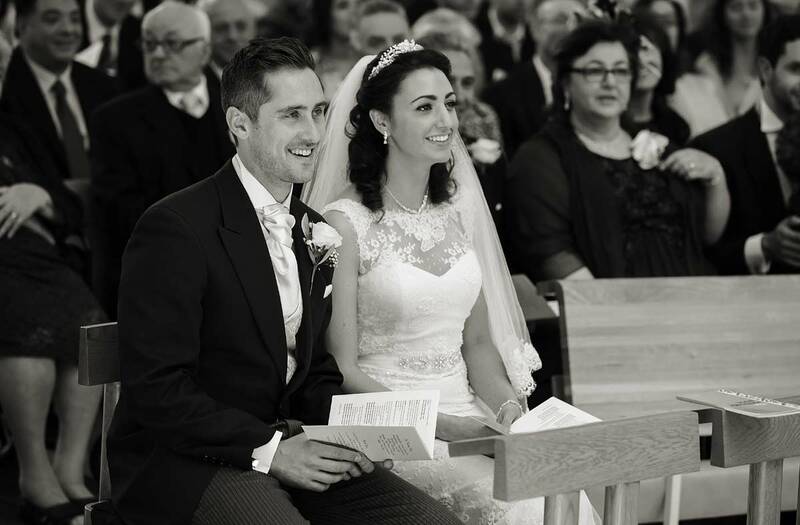 Our friend and fantastic video cinematographer John De Rienzo of De Rienzo Films told me, as a long standing and active member of the Italian community of Woking and surrounding area, that there were three Italian weddings around Woking the same date as Nadia and Steven’s big day. 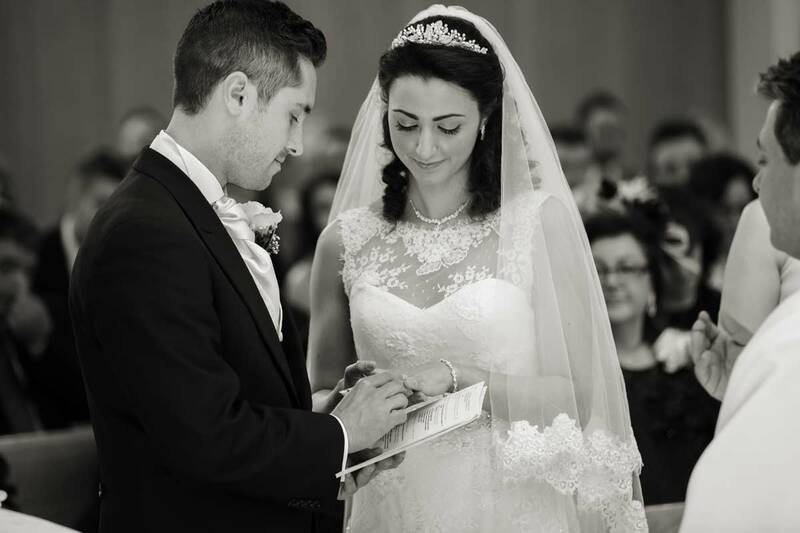 However as myself and Joanna were the chosen photographers, and bearing in mind the fact we give a hundred percent and build a great relationship with our brides and grooms, we can confidently say that this particular celebration was the best Italian wedding in Woking! A great many of our weddings are in central London these days, but we are always delighted to work in the home counties too. Knowing we would have to negotiate the M25 the morning of the big day we decided to leave nothing to chance and stayed the night in central Woking. The mornings coverage started at Nadia’s parents house, a place full of love laughter and friends and family busy getting ready. There was much meeting and greeting and eating and drinking lovely traditional Italian fayre, including some fantastic biscuits! Nadia’s family are originally from Sicily, a country Joanna and I have visited recently and loved greatly, it’s such a unique place. After capturing Nadia, bridesmaids and the families preparations and then the arrival of the wedding car, we shot off to St Dunstans Church Woking, to catch the arrival of guests and of course Steven and his groomsmen’s final preparations before the grand arrival of the bride. 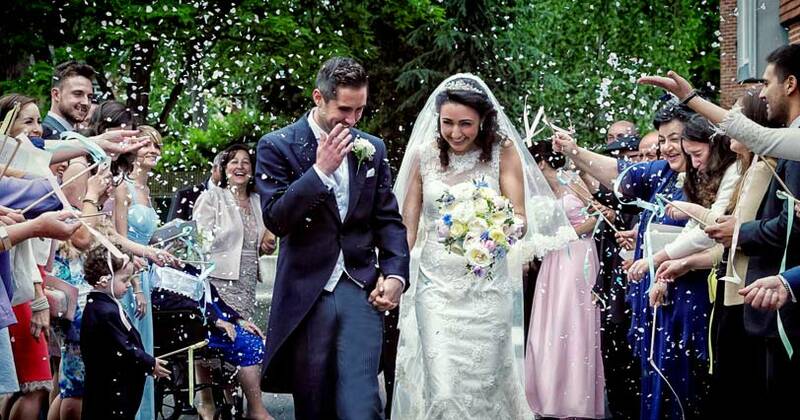 After a lovely heartfelt service the newly weds were showered with rice and confetti as they made their way to their vintage wedding car and the start of their journey to the reception venue. The place to eat drink celebrate and make merry was one of Woking’s most popular: Silvermere Inn on the Lake. 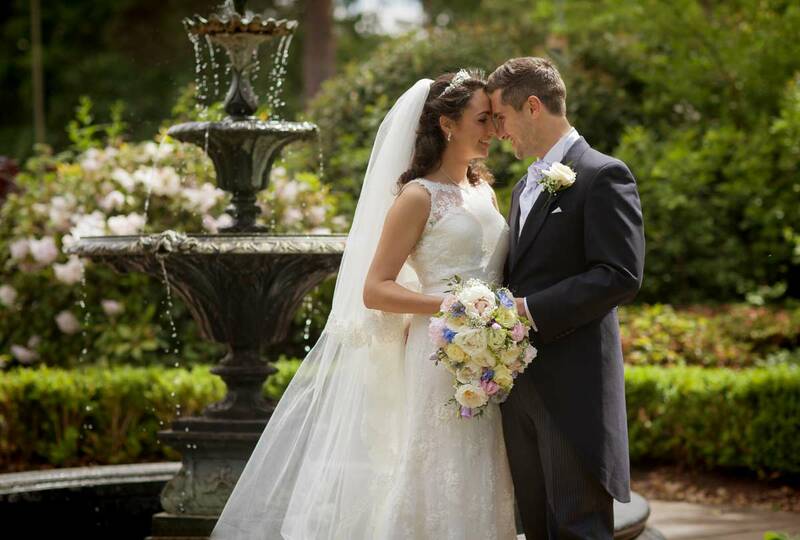 It’s a wedding venue, place to wine and dine and a fantastic golf course too, all nestled by a stunning lake setting. 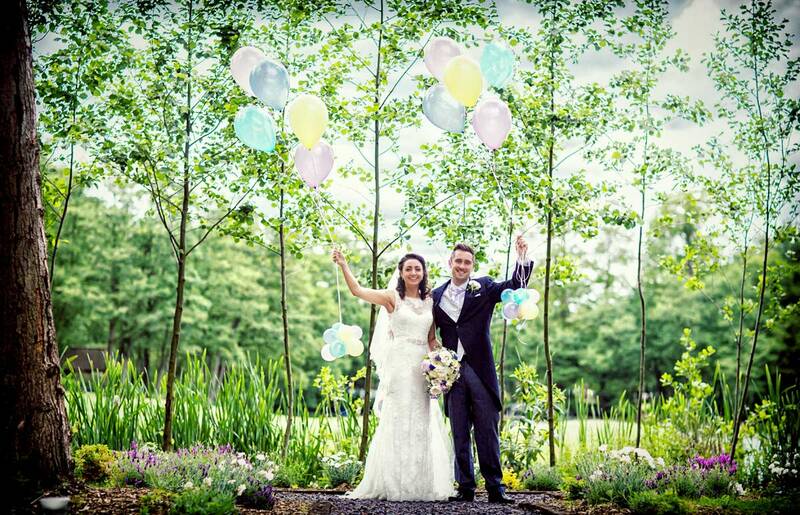 It’s easy to see why Nadia and Steven would have chosen such a place to complete their wedding day festivities. Silvermere’s wedding co-ordinator was incredibly helpful to both the couple and ourselves throughout the day, and the food service and general management was fantastic. 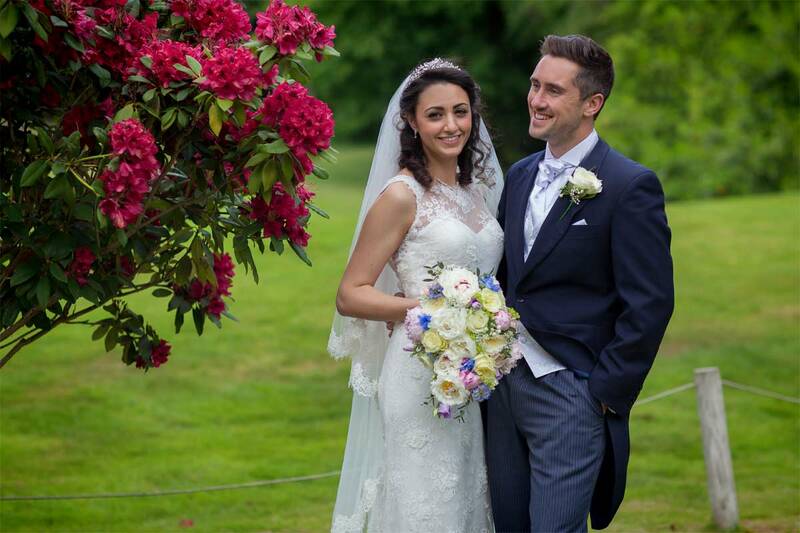 Naturally we captured lots of special moments and details, along with time alone with the bride and groom around the grounds of this fantastic setting. 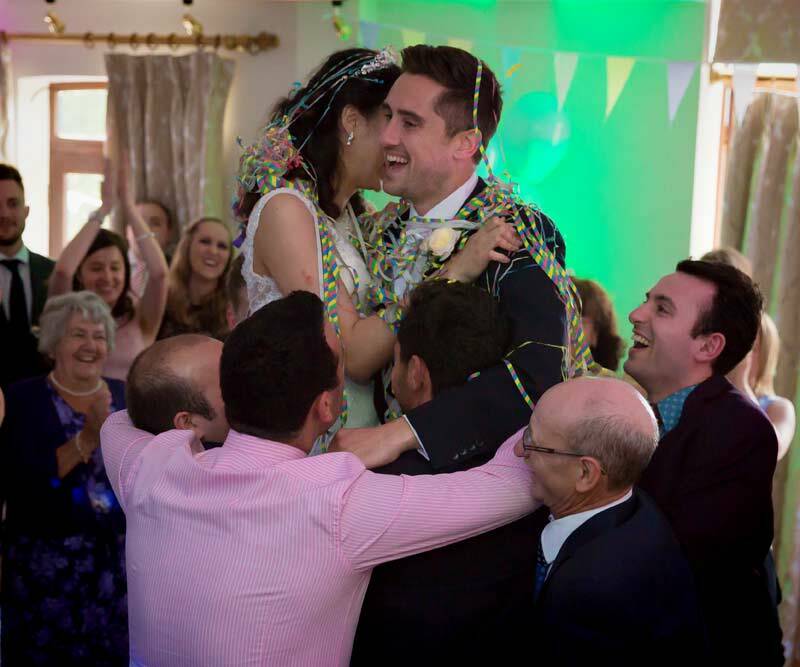 Many great Italian wedding traditions were faithfully followed, including the fun tapping of cutlery plates and glasses etc to get the couple to stand up and kiss each other, and of course getting showered with party paraphenalia for the first dance. Nadia danced with her father straight after for another special Italian tradition, which was moving in all senses of the word and got the party for the evening started in earnest! As you can tell from the photo above it’s always an excellent idea to high five your Italian wedding photographer on the morning of your special day!